Travelling by train is not something most people think about when they explore their vacation options. However, there are a number of relaxing and scenic train rides that are not only great trip options, they also give you a new way of exploring travel destinations. “Luckily, some of the world’s most beautiful destinations are also home to the most scenic train rides—journeys ranging from a few hours to more than a week, costing as little as two movie tickets or as much as a luxury cruise, and traversing terrain as dramatic as snow-capped peaks or orange-hued deserts,” says Donna Heiderstadt in Fodor's Travel. Accessibility and flexibility: There are train stations in almost every city, allowing you to customize your trip however you see fit. Most stops also tend to be centrally located, making it easy for you to explore once you get off the train. Simplicity: Unlike flying or driving, all you need to do is check in and board the train. There is no need to check in two hours early, and you can bring your own food on board. Sightseeing: Train travel gives you the opportunity to see a location from a new perspective. It’s the perfect way to see the countryside and take in beautiful landscapes where you are travelling. Relaxation: Travelling by train is more relaxing. You have more room and larger seats compared with flying, and you have the freedom to sit back, read a book, take a nap or enjoy the scenery. Choice: There are world-class train travel options almost anywhere in the world. You can travel across Canada, United States, Europe and so many other places. Glacier Express from Zermatt to St. Moritz in Switzerland: Pass through 91 tunnels and cross 291 bridges during this seven-hour trip. Durango and Silverton Narrow Gauge Railroad in Colorado: Travel back in time 130 years on this coal-fired, steam-operated train. Rocky Mountaineer from Banff to Vancouver: This two-day journey takes you through the Canadian Rockies. The Grand Canyon Railway in Arizona: The iconic view on this slightly over two-hour trip is the perfect day-trip option. Douro Line in Portugal: This is one of the best ways to enjoy the Douro River valley. You will cross 30 bridges and pass through 26 tunnels on your journey. The Ghan from Adelaide to Darwin in Australia: This three-day trip is a great way to see as much of the Australian outback as possible during your visit. Denali Star from Anchorage to Fairbanks in Alaska: Beautiful scenery and lots of opportunities to spot wildlife in its natural habitat. Napa Valley Wine Train from Napa to St. Helena in California: The perfect train tour for wine lovers! Sip on wine during this three-hour journey and dine on a three-course meal. 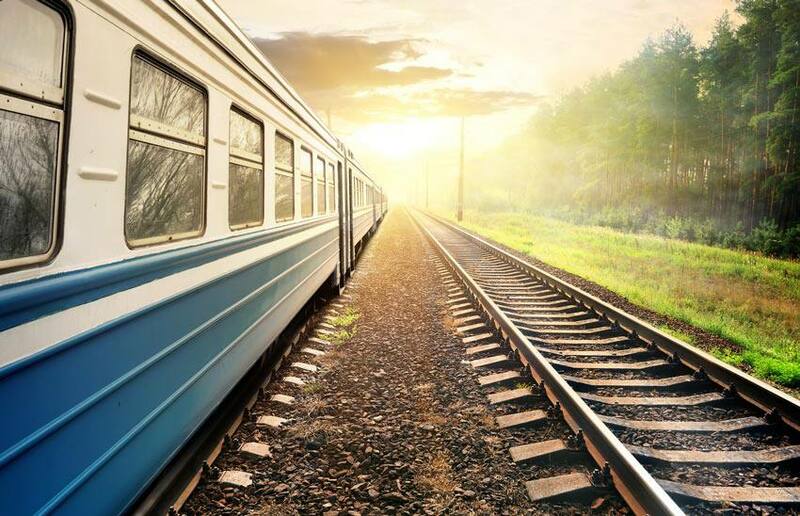 Whether you are travelling by train or any other mode of transportation, having travel insurance ensures you are protected. Make sure you get travel insurance for your train trip.